Brick and mortar stores are connecting to retail consumers in new and exciting ways. For Orchard Turn Developments, which manages ION Orchard, this means working closely with the brands to come up with new experience, service, and product offerings. “Despite the growing popularity of e-commerce, the demand for brick and mortar stores remains high,” claims Mr. Chris Chong, CEO of Orchard Turn Developments Pte Ltd. “At ION Orchard,” he emphasizes, “demand continues to stay healthy, with close to full occupancy.” However, Mr. Chong finds that the real challenge is staying relevant to the consumers and offering them in-store experiences that cannot be found elsewhere. “Today, even pure e-commerce players such as Alibaba are betting on brick and mortar stores as the next big retail opportunity,” he reasons. As such, ION Orchard has worked hand-in-hand with client brands to provide bespoke offerings and retail concepts, which has resulted in standard-raising services to date. At ION Orchard, Bottega Veneta has launched its Customization Atelier, a dedicated special service that offers shoppers the option to personalize precious leather goods. Gucci’s ION Orchard outlet, meanwhile, has its DIY service, and Louis Vuitton its personalization (of initials and made-to-measure) services, which allow customers to select from six iconic shapes for a bespoke bag. Orchard Turn Developments Pte Ltd manages ION Orchard, a prime retail landmark project located at the gateway of Orchard Road in Singapore. Jointly owned by CapitaLand and Sun Hung Kai Properties, the iconic development is strategically situated above the Orchard MRT station, and enjoys underground connectivity to nearby buildings, including via ION Link, a 35-metre walkway providing seamless access to pedestrians coming from Scotts and Orchard Road. With over 640,000 square feet of net lettable retail space, and over 300 shops spread across eight floors, ION Orchard features a collection of global flagship and concept stores of both established and new-to-market brands, covering the spectrum of fashion, lifestyle, entertainment and F&B. 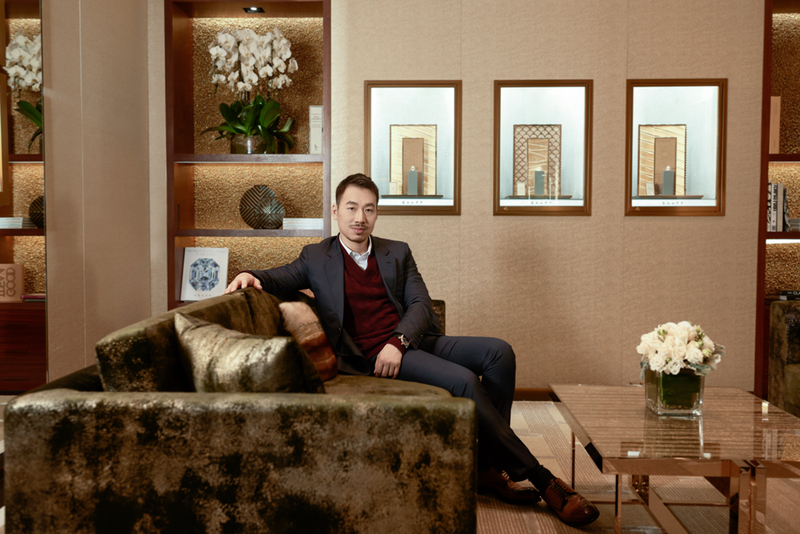 Mr. Chong highlights that Patek Philippe, a longstanding tenant at ION Orchard, recently expanded its premises to about 3,000sqft, making it the flagship boutique in Southeast Asia and second largest in Asia. He also pointed out that ION Orchard is “the preferred mall for watch brands that have their sole outlet in Singapore at the mall, such as Buben & Zorweg”. Even French-Italian apparel and lifestyle brand Moncler opened its first – and highly anticipated – standalone boutique in Southeast Asia in ION Orchard. Meanwhile, Dior launched its bespoke services such as a By-Appointment-Only dedicated in-store personal stylist to provide shoppers with fashion advice, complete with a VIP salon with its own private elevator and fireplace. These experiences are obviously possible only at brick and mortar environments, and cannot be substantially replicated in virtual shops. Even presentations of brand identity acquires a big push in brick and mortar reality: Consider Laneige’s unique flagship boutique at ION Orchard, which is touted as the first in the world to feature the brand’s new store identity “Water meets Light”. 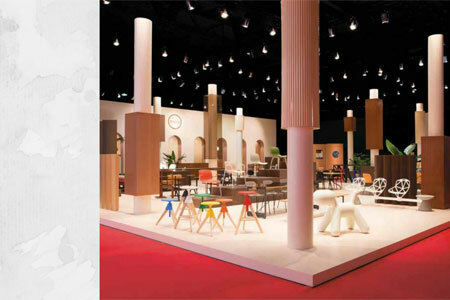 Brands are undeniably committed to follow the lead of malls for maximum impact merchandizing. Multinational jeweler Graff opened its first outlet in Singapore at ION Orchard in August last year, showcasing its fine jewelry and watch collections, with a section dedicated to bridal jewelry. The massive store is laid out as a series of rooms beginning with the more public showcases and progressing into the private domain. It is a strong spatial narrative that clients can discern as they make their way on a journey of brand discovery. About a month later, in September 2017, international fashion eyewear label Gentle Monster made its Southeast Asian debut at ION Orchard, presenting the full range of eyewear collection, including the unique Samsara concept and the key collection. Fittingly, actress-performance artist-model Tilda Swinton graced the launch of the space that is a full-on art-led experiential hub with art installations and kinetic sculpture underlining the brand’s fashion-forward yet lighthearted vibe. The big-ticket brands are not the only ones participating in creating innovative retail ideas. Luxury Belgian chocolate brand, GODIVA recently opened its first lifestyle café in Southeast Asia with exclusive dessert offerings. Ice cream brand Magnum also unveiled its flagship permanent Magnum Pleasure Store outlet at ION Orchard—a first in Singapore. Steinway Gallery Singapore’s recently opened flagship store in Southeast Asia at ION Orchard includes an in-store private music room. Italian shoe designer Giuseppe Zanotti recently opened his first store in Singapore also at ION Orchard. Malls have to constantly think out-of-the box and create different experiences combining retail and entertainment to cater to the needs of evolving shoppers. “We have held novel in-mall activations that inject fun and excitement to our shoppers’ experience such as aerial dance performances, live bird shows, outdoor fashion concerts and, a flora and fauna sound garden in the heart of Orchard Road.” These unique initiatives have been well received; they do not only entertain and engage, but also create an emotional bond with visitors who will remember these experiences fondly, Mr. Chong points out. Technology is increasingly becoming integrated into consumers’ lifestyle, Mr. Chong says. “We recognize the benefits of leveraging digital integration to provide a more seamless shopping experience in-store and beyond. ION Orchard is home to over 300 retail, F&B and lifestyle stores across eight levels, featuring a collection of global flagship and concept stores of both established and new-to-market brands. Beyond shopping, the mall continues to evolve and offer more relevant experiences such as the integration of arts and culture, as well as entertainment for consumers today. “Malls of the future will go beyond being a place just for transactions,” predicts Mr. Chong. “Rather, they will be lifestyle hubs that integrate retail, entertainment and play under one roof. We can expect greater synergy in the adoption of technology for a more engaged and immersive shopping experience, through creative use of VR and AR, or even robots. 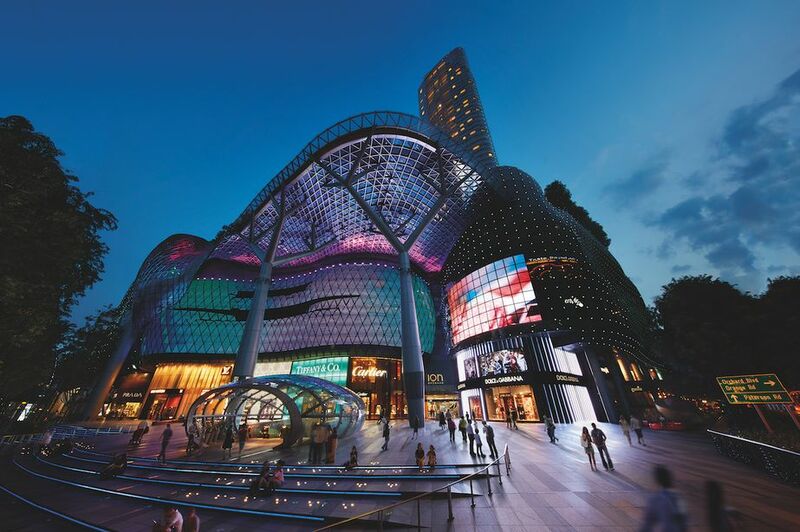 Besides creating an integrated shopping experience across multiple platforms, ION Orchard continues to evolve and offer more relevant experiences such as engaging in-mall activities, integration of arts and culture, and unique attractions for consumers as well as tourists to enjoy their time here. According to Mr. Chong, while it is crucial for retailers to innovate and bring forth new concepts to surprise and excite consumers, “it is also important to ensure that we understand our target audience by bringing relevant experiences to the mall that are derived based on consumer insights coupled with new innovations”. “The ION Orchard app remains a key channel for us to communicate and engage with our shoppers, be it in or outside the mall. It showcases the latest mall offerings, exclusive deals, product promotions, events and also allows shoppers to track their spending and collect reward points. “This way, we are also able to analyze data to better understand what our shoppers want and plan ahead. We also use this to provide useful insights to help our tenants with their planning and strategy to better serve our shoppers’ needs."